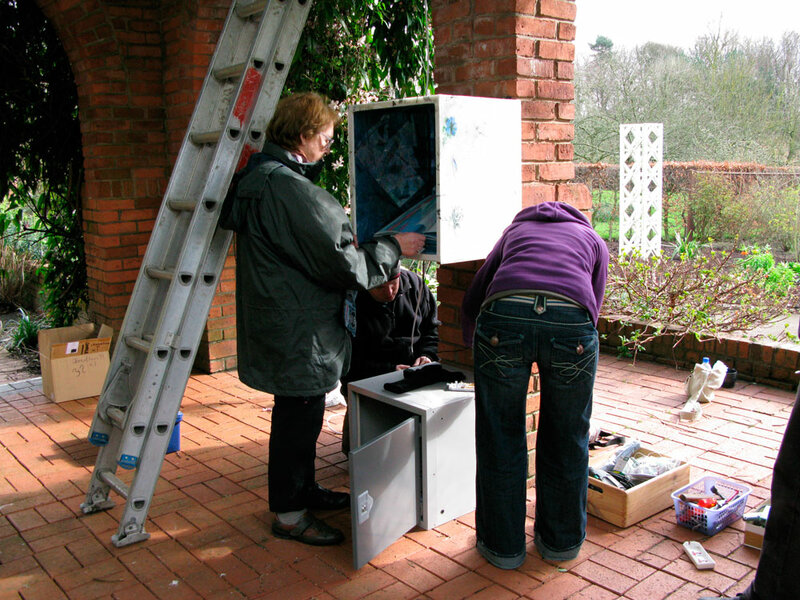 Book one was designed as part of a collaborative installation in a garden, which incorporated visuals sound and poetry. 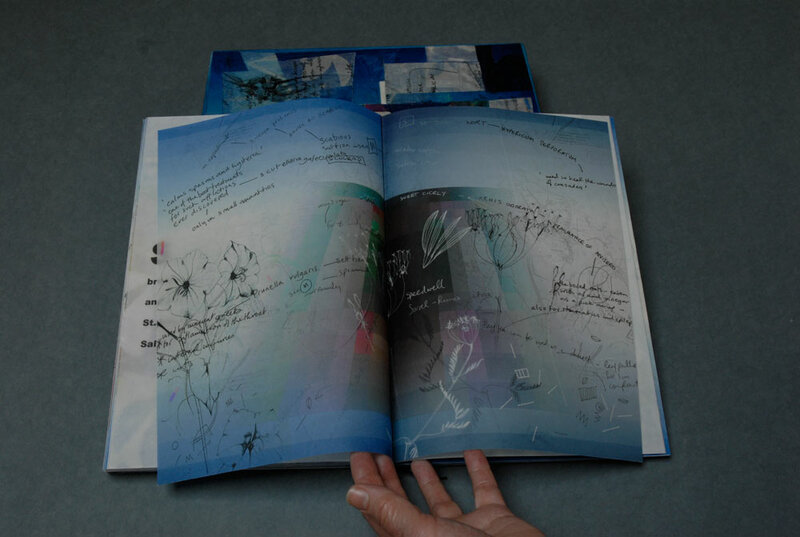 The poem is printed within the book, but is also recorded as part of the sound installation. Risks were taken with the book; it lay open to the elements – which left rain patterns on pages, and it was well handled – even added to by an anonymous child hand. Book two is an improvisation on the first book, and mt objective was to protect the contents bt adding an integral box. 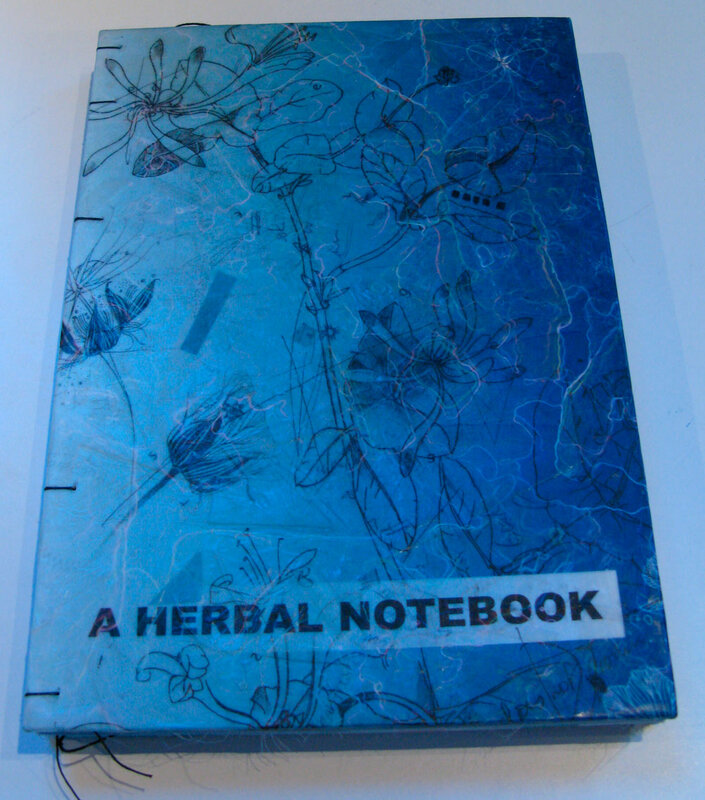 The content is a series of digital images, inkjet printed, which use an alphabetical sructure to explore and reference the idea of the traditional Herbal. The drawings were taken from the dozens of notebooks which I kept – many of which were the basis of my textile designs between 1970 and 1995. 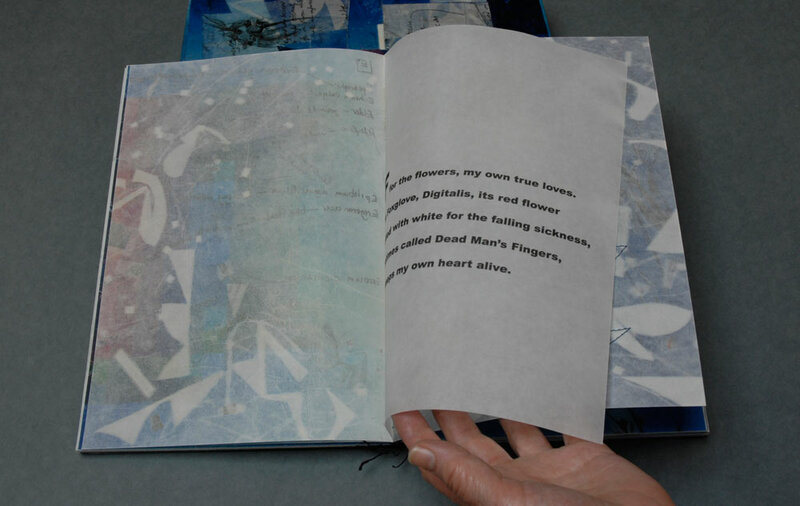 Interleaved with the images is a poem sequence, written by the poet Liz Cashdan, who was inspired by the life story of Elizabeth Blackwell, who lived in the 18th century – and who bought the release of her husband from a debtors prison through her botanical illustration and engravings. 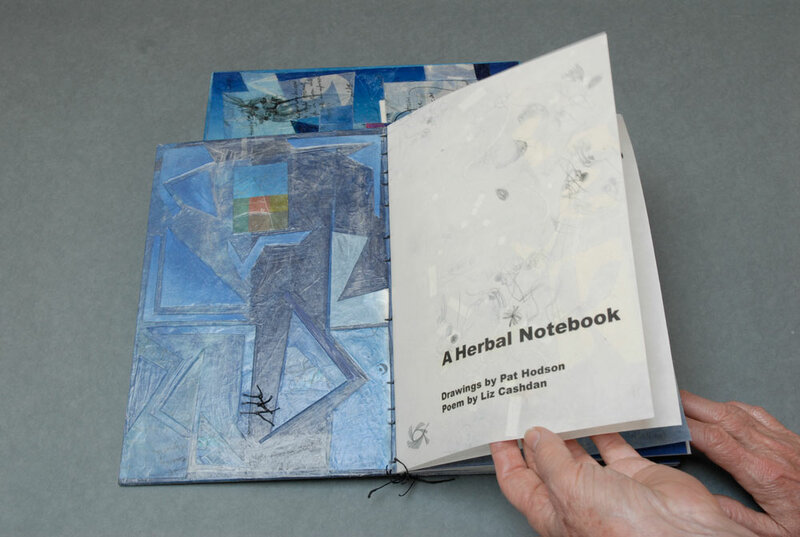 Covers are of waxed collage while pages vary in materials and therefore translucency. Each page, individually constructed, feels and opens differently. Some pages are entirely of silk while others are of silk layered with long fibred tissue or have collaged pattern embedded between the layers. 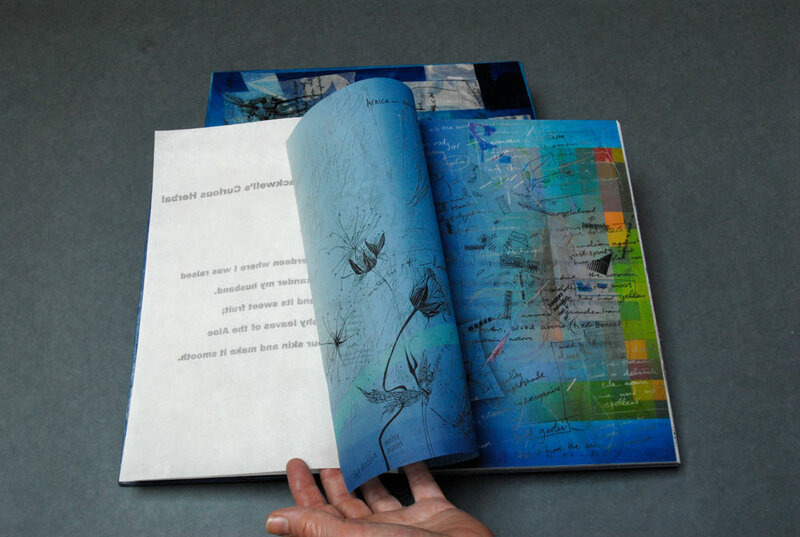 Each page has been digitally printed then waxed to increase translucency.